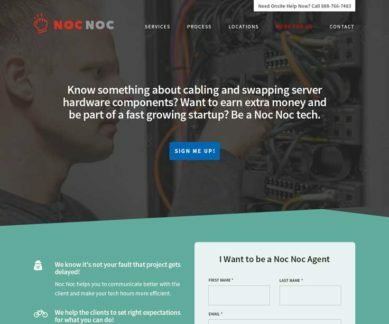 New York startup NocNoc looks to take a more flexible approach to remote datacenter support after being on the end of some hefty costs and frustrations with staff and company bloat. By improving efficiencies across the board and tapping into a network of experts around the globe, NocNoc has been able to provide improved services at several locations. Their look is bold to match their mission. Our challenge now is to help spread the word about their remote hands services.